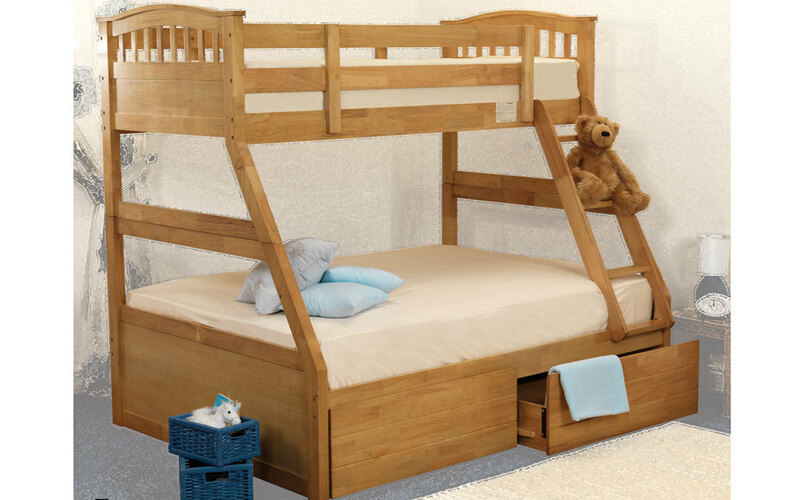 The Sweet Dreams Epsom Wooden Three Sleeper Bunk Bed is the perfect addition to your child’s room. With a spacious double bed on the bottom and an elevated single on top, this bed is perfect for young siblings and slumber parties alike! Made from sturdy, sustainable rubberwood, the solid construction and easy-climb ladder prioritise your child’s safety above all else. This bed is also designed with solid slats to provide the best support for growing bodies. Available in either a stunning white or traditional oak finish, this bed will blend seamlessly with your decor and provide a fantastic night’s sleep for your little ones!